Luxury property developer Shane Baghai extends his ambitions – and his taste for excellence – to farming. Drive north along Shaw’s Creek Road, just outside Erin, and you’ll know when you’ve come to Paradise. Suddenly everything looks burnished. Not overly ostentatious, as country estates go, but brighter, straighter, tidier and newer than the norm. This is Paradise Farms, where young spruce stand in perfect rows, the fences are not yet weathered, and the wide-open black gates are adorned with flower planters. Several immaculate green and white outbuildings surround the house, where workers are busily completing an addition – for entertaining. 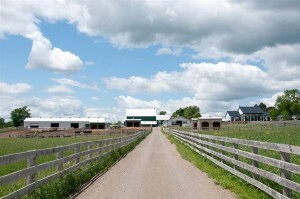 Alongside a diversity of cattle and a dozen majestic Friesian and Thoroughbred horses, the surrounding yards and enclosures are populated by a menagerie: alpacas, sheep, peacocks, ducks, turkeys and heritage chickens, including Old English game bantams, Silkies and blue-egg-laying Ameraucanas. The whole effect, enriched by the sonic accompaniment of roosters and cows, produces a feeling like entering a children’s storybook, or a petting zoo. But this is also the hub of a burgeoning agricultural business. 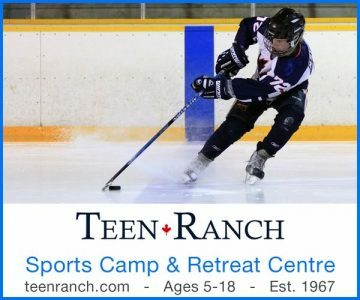 A first-rate cattle operation built from scratch in just four years by Shane Baghai – a Toronto luxury home and condo developer with no previous experience in farming – into one of Ontario’s largest purveyors of “naturally raised” beef and one of North America’s foremost breeders of Black Angus cattle. Luxury property developer Shane Baghai extends his ambitions – and his taste for excellence – to farming. Photo by Pete Paterson. Today Baghai has about 2,000 head spread over the four farms he owns in Caledon and Erin, 400 acres in all, plus feedlots on five rented farms totalling 600 acres near Mount Forest. You’ll find Paradise Farms’ melt-in-your-mouth steaks locally for sale at Carver’s Block in downtown Erin – which replaced its Alberta beef with Paradise Farms Angus to great response – or served at the Devil’s Pulpit golf club or Belfountain Inn, as well as at high-end grocers, butcher shops and restaurants from Toronto to Ottawa. And there’s more to come. 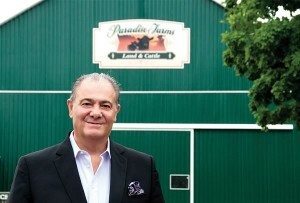 Baghai is talking about selling Paradise Farms beef through an eponymous burger chain, possibly 30 new outlets over the next five years, including one to be built on land he owns in Erin village, next door to Tim Hortons and East Wellington Medical Centre (whose properties he also owns). He projects it will open in early 2013. The last time big money bought up Headwaters land waxing about sustainable agriculture and “other land uses,” the outcome was the reviled Melancthon mega quarry proposal. So I was thinking, Sure, Shane. You’re rich and you say you’re interested in farming, but what are you really up to? This time though, the spin hides nothing. It’s just that Shane Baghai is a man who thinks, lives and talks in these kinds of visionary and idealistic terms. To understand how starting a hobby farm was a natural realization of his many passions, and to explain its meteoric growth into something much bigger, you have to know the man. Specialty breed Scottish Highlands. Photo by Pete Paterson. Baghai was born in 1949 in Hamadãn, Iran, the son of a transportation magnate. He was schooled in England from the age of 12, where he completed a mechanical engineering degree. After moving to Canada with a young family in 1973, he launched himself as a developer in one master stroke when he subdivided and flipped a million-dollar parcel in Thornhill with just $5,000 down. But he also gives back, donating more than a million dollars of his own over the years and fundraising millions more for hospitals and institutions like the University of Toronto, where he sponsors fellowships in one of his many passions, English literature. Even as his development work grew more lavish, Baghai maintained an interest in lessening its environmental footprint. He recalls spending evenings and weekends studying sustainable technologies, like heat recovery ventilation and solar and wind power, which he later implemented before they became popular. In 2007, the University of Windsor recognized his green achievements with an honorary doctorate. It was the same year his wife Marnie completed treatment for breast cancer, an event that helped launch his agrarian trajectory. When one of Marnie’s health-care providers recommended she stop eating beef to avoid the growth hormones, Baghai decided to grow it himself. Baghai purchased the property on Shaw’s Creek Road in 2008 and approached a third-generation Guelph cattleman named Rob Hasson to help him purchase a few cattle. At the first Angus sale Baghai attended, he bought six, but for this man who early on replaced his given name Shahab with that of a character in a 1953 Hollywood western, it was love at first sight for the cattle business. Against Hasson’s advice, he called a contractor the next day to build a larger barn. “I said it’s not for everybody. See what you think of it first,” recalls Hasson, who is now Baghai’s farm manager. “The barn you have is all you need.” But Baghai was determined. Hasson estimates that Baghai’s breeding herd of 300 makes him “big for Ontario” – about ten times the size of an average cow-calf operation. And thanks to Hasson’s expertise, it boasts some of the finest genetics anywhere. Several Royal Agricultural Winter Fair champions graze its Erin pastures, including Bando, the Canadian champion Angus bull. Chianinas are one of the oldest bovine breeds, dating from Virgil’s time. Photo by Pete Paterson. Baghai has also branched into three specialty breeds: rare Italian Chianinas, Scottish Highlands and Japanese Wagyu. A recent purchase gave him Ontario’s largest herd of Wagyu, at 300 head. The farm is also developing a herd of Charolais, dubbing the breeding line Charolais de Paradis. 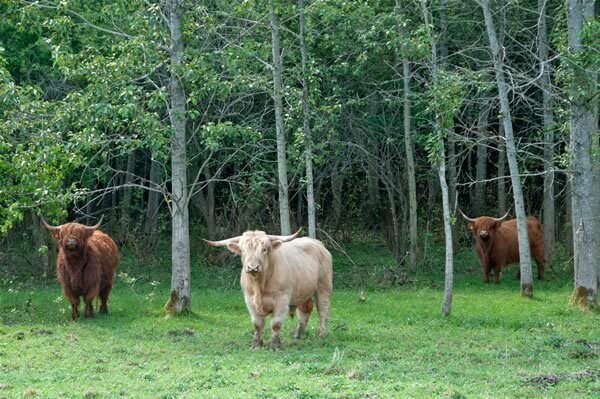 He gushes that the hardy Highland cattle, which range freely in his farm’s bush, are “Her Majesty’s favourite” (she keeps a herd at Balmoral) and produce the beef highest in Omega 3. And that Wagyu is the source of the also expensive Kobe beef, which can be so richly marbled it sometimes appears white. Baghai has found an appetite for these high-end meats among the same clientele that buys his residences, a discriminating social stratum in which he has circulated all his life and intuitively understands. It’s a problem that had never occurred me, but it makes sense as an ultra-luxe approach to the 100-mile diet. 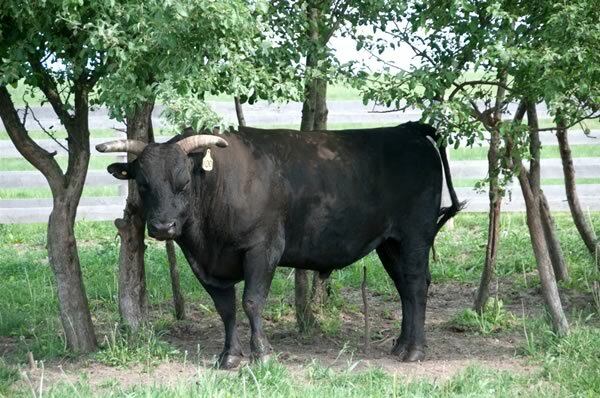 Paradise Farms is quickly become one of North America’s foremost breeders of Black Angus. Photo by Pete Paterson. Paradise Farms is this mantra’s application outside the city’s margins. 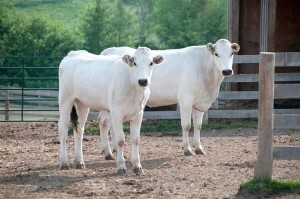 In this case, “design, quality and technology” refer to the genetic improvement of the herd, to the goal of efficiently raising healthy animals by “natural” means, and to the dedicated team, his farm manager Rob Hasson and other experienced staffers, whose respect and loyalty he indeed seems to have earned. Hasson says he is so enthusiastic about working for Baghai he has cut back the work he does on his own farm in Guelph. Brad Mansfield, an old acquaintance of Hasson’s who also grew up cattle farming, came on board to help Baghai buy chickens, but soon joined full time. Originally from Sarnia, he now rents across the road, and the only downside to that isn’t really a downside. Mansfield gets the occasional call from Shane to come over for small jobs after work, but “you know there’s going to be a drink poured for you and you’d better be ready to spend the evening.” He says Shane treats everyone as a friend and won’t tolerate being called “boss.” The day I visit, Baghai has brought in lunch for the whole staff, as well as the Mennonite builders. So what of the master plan? It seems we’re looking at it. The grander residential development concept has evaporated. Nor does the 62-year-old Baghai want to continue growing to become Canada’s largest cattle farmer. It would go against his vision. 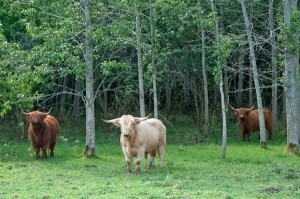 Shane Baghai is raising about 2,ooo head of growthhormone- free cattle, spread over four farms in Caledon and Erin. Photo by Pete Paterson. The solar panels are already installed, feeding the grid from the roof of the main house. The wind turbine – a single, striking vertical axis model imported from Italy – helped power the farm until it was disabled in a spring windstorm. The biogas plans, conceived as a way to reduce greenhouse gas emissions from cattle, are still in the future. The whole utopian dream is demonstration-scale. At heart, Paradise Farms is one man’s passion, an expression of his profound affection for this land and its animals. It’s just that the man in this case is a modern-day Midas whose every gesture produces something grand. Paradise Farms, with its green pastures, its windmill and solar panels, its impeccably bred and well tended animals, is an experiment undertaken, as Baghai says, “to prove a point,” an example of food production and land management done right. He wanted it for his family, but happened to have the resources and the ambition to share it with others. Paradise Farms is a big thinker’s articulation of farming’s possible future, a hopeful message in a world beset by urban sprawl and food insecurity. 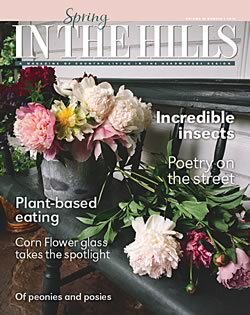 The message – if you will pardon it coming from an environmentalist who builds mansions – is that everything’s not just going to be okay, it’s going to be supremely beautiful. And also very, very tasty. 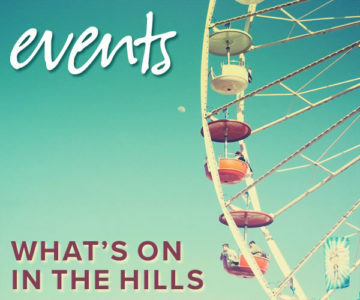 Tim Shuff is a freelance writer. So very interesting. Having seen the property and spending time with Shane and Marne, I know the love they have for their farm, and all of the animals that inhabit it. The animals are the lucky ones in this scenario! Beautiful place, lovely couple, honoured to have met them last week at their bbq during my visit in Canada. Congratulations to Paradise Farms Cafe. Paradise beef is like no other, the best I have eaten in many years. “Naturally raised,” a term still used by some, cannot accurately describe the production of beef, according to the Canadian Food Inspection Agency, since cattle do not grow without human intervention. Paradise Farms does raise its beef strictly without the use growth hormones (that is, without any of the six “synthetic hormonal growth promoters” approved for use in Canada, though banned in the EU) and without the use of antibiotics for growth promotion. Also, their beef is “pasture-fed, grass-fed, grain-finished.” That means the cattle spend the bulk of their lives on pasture eating grass, more typical of the industry practice 3o or 4o years ago, according to assistant manager Brad Mansfield. The cattle spend their final two or three months gaining a few hundred pounds eating grain at the company’s feedlots in Mount Forest. The term “grass-fed” is unregulated, but the feedlot practice means Paradise Farms doesn’t meet the term in the purest sense. To do so would require that the beef be grass-finished.